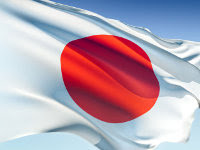 Due to the devastating earthquake and tsunami that hit northern Japan on Friday, March 11, many OEMs have reported damages to their plants in the area and have suspended operations. Canon reported significant damages to multiple plants, including an inkjet printer manufacturing plant, and 15 employee casualties. So far, the company has suspended eight of its facilities. Although Canon has not specified which plants would be suspended and which would resume, the company has reported that it will consider using undamaged alternate sites in order to continue production. Canon set up an Earthquake Disaster Recovery Task Force, which will draft a recovery plan. The company is also making a donation of 300 million yen (US $3.22 million) to the Japanese Red Cross Society. Seiko Epson also reported damages to several plans and companies in the Tohoku areas. No employees were hurt in the earthquake or tsunami. While the safety and whereabouts of all employees of Kyocera Mita have been confirmed, the company has suspended production at two its facilities due to damages. Seven of the company’s plants are reported to resume production soon. According to Industry Pulse News, Brother, Fuji Xerox, Konica Minolta, Ricoh and Toshiba did not suffer any damages or employee casualties, but each OEM is donating between US$600,000 to US$3 million to relief efforts. Visit our web store for high quality OEM and compatible inkjet cartridges, laser toner cartridges and printing ribbons. Hewlett Packard / HP recently introduced the graphic arts industry’s largest, most productive commercial digital color press, bringing the concept of mass customization to printing by combining the personalization features of digital printing with the efficiencies of high-volume production. With its unmatched width and its 600-foot/minute (183-meter/minute) speed, the HP T400 Color Inkjet Web Press prints up to 5,200 full-color, letter-size pages per minute – 44 percent more than the closest solution from competing vendors. HP unveiled the press at the offices of O’Neil Data Systems, a Los Angeles-based data-driven marketing communication firm that now uses all four systems in the HP inkjet web press portfolio – the HP T200, T300, T350 and the new T400. HP also introduced several additional solutions, including an HP magnetic ink character recognition (MICR) system and third-party coated media, as well as workflow and finishing solutions from members of the HP Graphic Solutions Partner program. HP additionally is offering customers an option to upgrade HP T300 presses to the faster T350 platform. The HP T400 offers high-quality imaging by reproducing sharp text and images, as well as uniform area fills. New HP A50 process-color inks work with new HP A10 printheads, which use HP Scalable Printing Technology in a compact, 1,200-nozzles-per-inch printhead design. New, advanced web tension controls and dryer systems provide reliable, fast and consistent productivity. Users of standard-size (20.5-inch) digital web press finishing equipment can produce two jobs simultaneously on the HP T400, using an optional slitter at the end of the press to convert the roll into side-by-side webs. Scalable job impositioning tools for high-level prepress efficiency from Ultimate Technographics – a member of the HP Graphics Solutions Partner program – allow operators to impose separate variable-data jobs side by side on the web. Other HP Graphics Solutions Partners, including finishing and paper transport system suppliers EMT, Magnum Digital Solutions, MBO and Muller Martini, are presenting solutions they offer to support the HP T400 platform. Additional industry suppliers, including CMC, Compart, GMC Software Technology, Hunkeler, Lasermax Roll Systems, Tecnau, Videk and WEKO, also are showcasing solutions for use with HP Inkjet Web Presses. Pitney Bowes is highlighting high-volume transactional/transpromotional uses for a new HP Inkjet Web Press technology. The HP T400 will become part of a new IntelliJet 42 solution for transactional/transpromotional markets, extending the range of IntelliJet size and speed configurations. Scheduled to be available later this year, the HP T400 is part of a broader production printing portfolio that includes HP Indigo liquid electrophotographic imaging presses. With a global install base in excess of 5,000 presses, HP Indigo is a market leader in high-value, offset- and photo-quality digital printing. Since introducing the first HP Inkjet Web Press in 2008, HP has continued to gain momentum in publishing, direct mail and transactional and transpromotional markets, with more than 1.46 billion pages produced on HP Inkjet Web Presses in 2010. HP is presently installing its first HP inkjet web press in Asia at book exporter CTPS’ plant in Dongguan, China. O’Neil Data Systems is home to the first HP T400 press installation, making it the only customer facility to have all four HP Inkjet Web Press models. The company also uses HP Indigo Digital Presses to produce a variety of high-end jobs, including covers for Inkjet Web Press-printed publications. O’Neil Data Systems also uses HP Exstream customer communications management software to compose complex, variable-data document streams at full press speeds. The company is using HP Exstream and the HP T400 press to produce MarketSmith, a personalized financial research publication delivered weekly. ”The HP T400 Color Inkjet Web Press truly is converging on offset speeds while providing the benefits of a digital printing environment,” said James Lucanish, president, O’Neil Data Systems.As with all HP Inkjet Web Press models, the HP T400 prints on virtually any standard uncoated or newsprint paper, as well as on a range of coated papers. HP announced the immediate availability of new 115 and 130 gsm Jaz coated papers from Sappi for use with HP Inkjet Web Presses. The papers are now available in Europe and the Asia Pacific region, with additional weights scheduled to be available there soon. MICR, a technology commonly used in checkbook printing, will soon be available for use in a wider variety of applications with the new MICR HP Inkjet Web Press solution. Available for order now with new HP T300 and T350 purchases, and scheduled to be available with T200 and T400 models sold later this year, the solution consists of new black MICR ink with a print bar that inserts into expansion slots on all HP Inkjet Web presses. The HP Inkjet Web Press MICR solution enables direct and transactional mail printers to use only one pass to produce balance transfer check mailers, rebate check mailers and other popular direct mail products. This method avoids the significant document security and inventory storage demands with existing workflows, which require valuable MICR documents to be preprinted and then locked away, with additional finishing, inserting or full-color printing steps completed in subsequent steps just prior to mailing. According to Scott Frame, vice president, Wide Format, Xerox Corporation, "Xerox will stop taking orders for wide-format products in the US and Canada in 2011, with specific timing based on inventory levels. Xerox’s European and Developing Market operations will continue selling wide-format products and will source new products. "Xerox prioritizes each investment, allocating research and development dollars to areas where the company can deliver the best value to the marketplace. As a result of this practice, Xerox has opted to not invest in wide format product engineering in 2011. "Customers will continue to have access to service support, supplies, media and parts from Xerox for their existing equipment for a minimum of five years from the last install of a particular product line. Customers with questions can contact their Xerox Account Manager." OKI Data Corporation, an OKI Group company specializing in the printer business, announced it will introduce a bioplastic part consisting of at least 25% (by weight) of plant-based renewable biomass resources in all its printers and MFPs. Products manufactured from March 2011 onward will incorporate bioplastic, marking the first effort among OKI Group companies to use bioplastic in products. 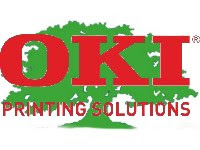 OKI Data is currently active in 120 countries, selling approximately 1.1 million printers and MFPs annually. Its introduction of bioplastic is expected to reduce its annual CO2 emissions by three tons. "Plant-based renewable bioplastics reduce environmental impact by reducing CO2 emissions and the petroleum resources consumed," said Harushige Sugimoto, President of OKI Data. "OKI Data is proactively developing products and technologies to reduce environmental impact. The company has long considered using bioplastic in its printers and MFPs. However, compared to traditional plastic, bioplastics offer formidable challenges in the areas of flame resistance, strength, heat resistance, and formability." The bioplastic announced today is based on polyactic acid, a plant-based renewable resource. It offers enhanced flame resistance, strength, heat resistance, and formability, as well as high transparency and ease of processing, qualities that allow use of the product to form elements ranging from exterior components to mechanical parts. It is widely used in stationery, electrical home appliances, and office equipment. Cost competitiveness and the procurability of this bioplastic for overseas manufacturing facilities were key factors in its selection. OKI Data is firmly committed to reducing its CO2 emissions, having set a goal to cut emissions by 6% relative to 2007 levels by 2012. Introducing bioplastics is one of the ways it intends to achieve this goal. Where possible, the company plans to replace traditional petroleum-derived plastics with plant-based renewable bioplastics in its future printers and MFPs. Visit our web store for high quality OKI Laser Toner Cartridges & MFP supplies.